You have got to try this yummy cake. 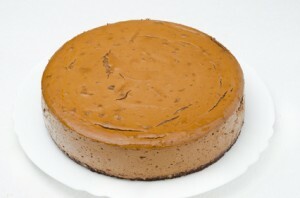 If you love a nice cheesecake, this is a great recipe to try. I’m a big fan of chocolate and while we don’t indulge in treats like this very often, it’s nice for the holidays or as something special to make for Valentine’s Day. I think I’d like this as my birthday cake this year. The espresso cream on top is optional, but I encourage you to give it at try. Not only does it make the cake look even more festive, it’s very yummy too. If you’re in a bit of a hurry, just leave the cake as is, or dust it with a bit of cocoa powder. Espresso Cream (optional. See recipe below). Combine butter and cookie crumbs. Press the mixture onto the bottom and 1 inch of the side of a 9-inch springform pan. Melt 1 cup Hershey’s kisses over low heat in small saucepan, stirring constantly. 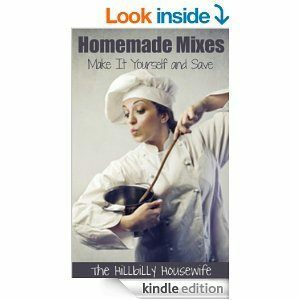 Mix sugar and cream cheese together in a large bowl using an electric mixer on medium speed. Then beat in cinnamon, milk, eggs, and espresso powder until well blended. Add in the melted chocolate and beat an additional 2 minutes. Spoon the mixture into prepared crust. Bake for 55 minutes, then cool on a wire rack for 15 minutes and separate cake from the side of pan. The side of the pan can be removed after the cheesecake is completely cool. Cover and place in refrigerator for at least 4 hours before serving. 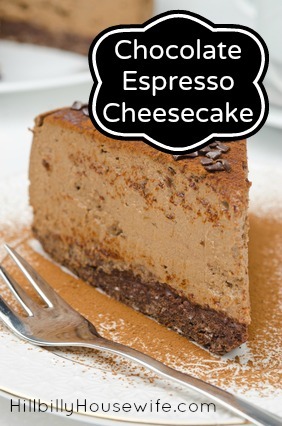 You can top your cheesecake with some yummy espresso cream (see below), or just dust it with some cocoa powder and/or some chocolate sprinkles. Beat together 2 tbsp powdered sugar, 1 tsp instant espresso powder, and 1/2 cup whipping cream until firm.